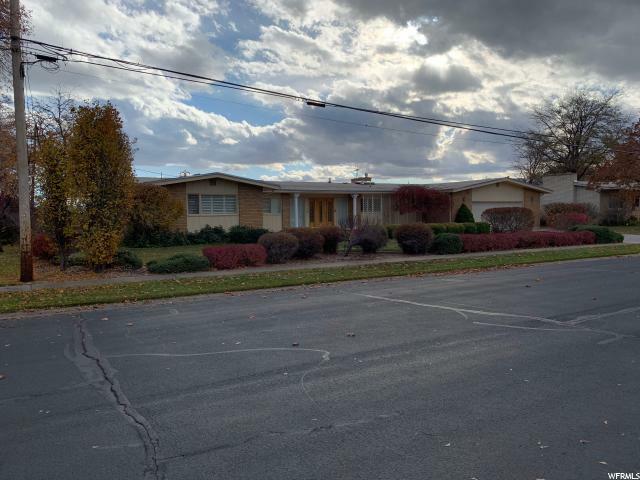 All River Heights homes currently listed for sale in River Heights as of 04/20/2019 are shown below. You can change the search criteria at any time by pressing the 'Change Search' button below. If you have any questions or you would like more information about any River Heights homes for sale or other River Heights real estate, please contact us and one of our knowledgeable River Heights REALTORS® would be pleased to assist you. "Stunning modern home to be completed by June 2019 in the popular Saddle Rock Subdivision. This custom home has upgrades galore and is worth a tour! Vaulted ceilings, huge windows, gas fireplace, very open concept, quartz countertops, tile backsplash, full appliance package, 10 ft island with seating for 6, amazing views and a 3 car garage. See attached documents for finish products, floor plan and additional features. Easy to show. Buyer to verify all information." "PRICE REDUCTION on this Once in a lifetime find. This home has more incredible features then can be mentioned. Brick construction on a fabulous view lot, must see to appreciate. The attention to detail from the custom cabinetry, crown molding, sky lights and floor plan will impress. This home has single level living with room to grow in the large, walk out basement. Basement family room has 2nd kitchenette in place and ready to entertain. The amount of storage in this home will boggle the mind. For those interested in family security, the bomb shelter is a fabulous feature. This home is vacant and ready to show, please call for your scheduled showing today. Square footage was provided by individual measurement, buyer and agent to verify all square footage calculations. Many of the chandeliers and antique fixtures are excluded from the sale of this home; however, the owner is also willing to accept offers for some of the existing furnishings. Please contact agent for full list of exclusions and offerings."